Kickabouts, mountain biking or your weekly sports club: this lightweight mesh tee does it all. The high-tech fabric has cool contrast stitching and moisture-wicking properties, so you won't get too sweaty. 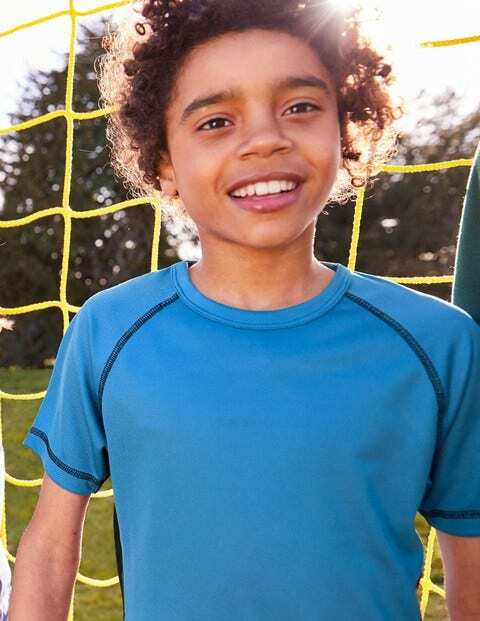 Pair this T-shirt with our other activewear pieces to be the best-dressed kid on the field.